Concaves are important in increasing a rider’s grip to the board. A concave is achieved by raising the rails or edges of a longboard. A W concave is achieved by placing two concave sections next to each other. This further increases the rider’s grip to the board, increasing stability. 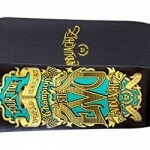 Below are some amazing longboards that have a W concave design. The Sector 9 2015 Lookout Longboard is well-suited for all-around riding. 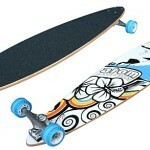 Measuring 42 inches by 9.6 inches, the 5-ply bamboo deck is light, flexible and with a mild flex. The 180mm Gulling Charger II drop through mounted trucks are strong and durable and the mounting of the deck lowers the center of gravity of the rider. Being light at 8.2 pounds and low makes the board ideal for commuting. The drop through design the board is stable and makes it ideal for bombing hills. The board features a slight W concave in the middle and comes with clear 3200 Jessus grip tape. This keeps the rider firmly on the board when making tight turns, sliding sideways or going around corners at high speeds. The 78A Sector 9 Top Shelf Nineballs wheels are perfect for handling all surfaces being soft enough to provide sufficient grip and absorb vibrations over varying surfaces. The board is well-suited to all types of riders and has great potential for freeriding. The Pantheon 2015 Embryo Longboard is a classic-shaped longboard designed to handle aggressive longboarding. The board is made of 8-ply maple with Formica top giving it strength and a stiff flex. It measures 37.25 inches by 9.625 inches and has a varying wheelbase ranging from 25 inches to 29 inches. Combined with a top-mounted deck, this makes the board amazing when making tight corners and extremely maneuverable. 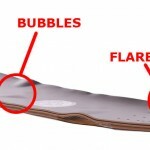 The board has great Effective Foot Platform (EFP) achieved by bridging W-bubbles on either side of the board at the middle, helping the rider find their rear and front footing. One end of the deck has a funnel concave that tapers towards the tail end of the deck making it easy to perform tricks and technical moves. The other end features a 3D concave that helps a rider keep their weight forward and locks them in for a safer and smoother ride. The board is comfortable to push and amazingly fun to ride. The P-40 WarHawk Longboard is one of the best boards for freeriding whatever the skill level of the rider. The 9-ply maple board measures 40 inches by 10 inches and a wheelbase of 28 inches. This makes the board extremely strong and the stiff flex helps in making it usable at varying speeds. It features a 0.5 inch drop and 0.6 inch concave at the widest point. The W concave is amazingly designed such that it runs throughout the EFP area but shallows out where the rider stands. This holds the rider to the board really well and makes it safe and usable to all types of riders. Easily usable kicks makes the board a great choice for freeriding. The Madrid Havoc WMD Longboard is designed for bombing hills and sliding and delivers on that superbly. The board measures 38 inches by 10 inches and comes with a kicktail, rockered platform and flared wheel wells. The flared wheel wells create a 3-D concave over the wheels and allows one to use bigger wheels without facing wheel bite issues. 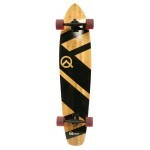 The board has numerous wheelbases ranging from 21.5 inches to 25.5 inches. A rider therefore has lots of options to try and select which works best for them. It features a W-concave at the rear of the board and coarse grip tape. The tail and nose also feature a concave and are wide. It is extremely stable whether a rider is sliding, doing a speed tuck, tail slides, ollies or other techniques and tricks. This is one serious board for downhill bombing and sliding. The Never Summer Reaper 2015 Longboard is without a doubt one of the best boards for bombing hills and downhill racing. The deck measures 37.5 inches by 10 inches. It features 3-D molded base, a W concave and foot pockets designed ergonomically. This ensures the rider enjoys a great ride while being assured of their safety. The top mounted deck sits on flared wheel wells and an adjustable wheelbase ranging from 27.75 inches to 29.25 inches. The board is extremely stable and one of the most comfortable yet hard charging downhill longboard available. The Lifelong Nomad Longboard is a great board for downhill and freeride riding. It also performs greatly for mid-freestyle riders. The maple deck has stiff flex and measures 42 inches by 10 inches. It features a pair of large kicktails. It has the drop deck design to ensure maximum stability when bombing hills. The deck has micro-drop pockets and a W concave to further increase the rider’s stability. The micro-drops not only ensures the rider’s comfort and stability but increase board awareness. This is by letting the rider knows exactly where they are at all times. The W concave increases the stiffness of the board and provides secure and comfortable footholds when tucking downhill. The large double kicktails and the board’s symmetrical shape further enhances the board’s style, versatility and general awesomeness. 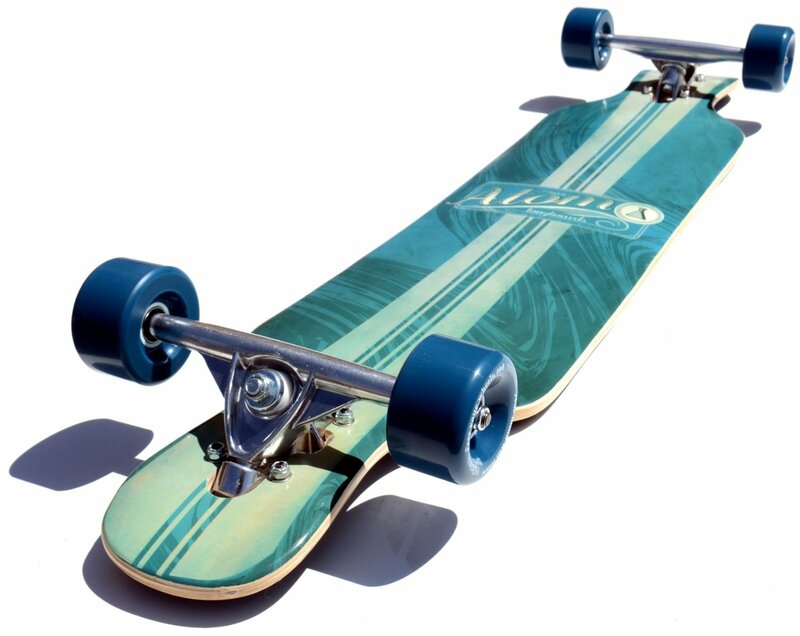 The Loaded Tesseract 2015 Longboard is among the few almost-perfect board for all styles of riding. It delivers an exceptional longboarding experience whether one is cruising, freeriding, freestyle riding or downhill riding. The top mount deck is made of laminated bamboo plys measures 39 inches by 9.5 inches. 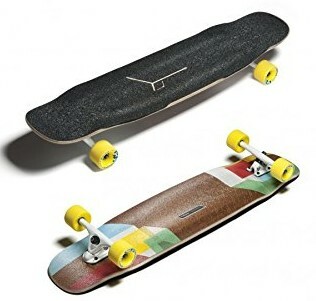 The symmetrically shaped board features twin kicks and has varying wheelbase options ranging from 24.5 inches to 26.0 inches. It sits on 184mm Caliber II trucks mounted at 50 degrees. Flared wheel wells further increases the board’s versatility and configuration options. It has a W concave that enable a rider to position themselves without much movement. This versatile board is one of the most fun longboards in the market. In the past, W concave longboards were expensive and usually available in downhill and freeride longboards only. However, the W concave design is becoming more widespread and available at all price levels. 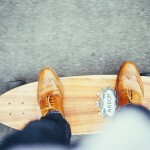 W concave longboards increases a rider’s safety and stability, allowing them to better enjoy their riding experience.